Our technology-driven future came into focus on Day 2 of Think 2019. It was a rainy day in San Francisco, but that didn’t stop business and technology executives from attending dozens of sessions led by industry disruptors from big companies, startups and research labs. Here is a recap of sessions that generated buzz about what lies ahead and how quickly it’s coming. Technological change is only going to accelerate. How can companies keep up? Rich Karlgaard, futurist and publisher of Forbes, shared a startling anecdote in his presentation “The Centrifuge of Technological Change Never Stops.” Former Cisco CEO John Chambers told Karlgaard a few years ago that 40% of the top 500 companies in the U.S. would fail within five years. Failure isn’t always obvious right away. Sometimes it is, like when a company goes into bankruptcy, but failure can also be subtle--and happen faster than you realize. A company may stop hitting its key-performance metrics, have a hard time recruiting and retaining talent, or miss a major technology shift and quickly find itself on the verge of irrelevance. While these missteps don't have the we-just-hit-a-wall drama of a sudden collapse, they can indicate that an enterprise isn’t long for the world, he said. Much of this challenge is due to the fact that the pace of technological change keeps increasing. Karlgaard identified four rules companies must learn to adapt and thrive. You don’t have to be #1 in tech (unless you're a tech company), but you should strive to be in the top quartile. Know what your values are and stick to them. Keep your teams small and have a good balance of personalities. Know how to spot and recruit good talent. The future of cloud is open, Krishna said. In fact, 85 percent of companies have increased their use of open source. 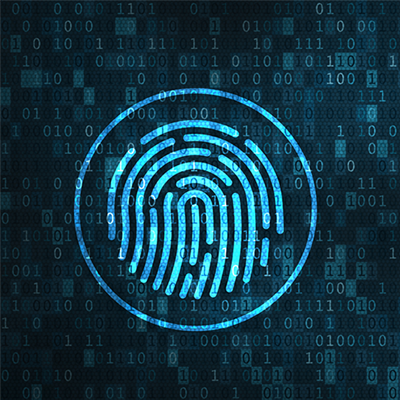 This is because an open approach allows companies to combat lock-in, but also maintain control and choice as they make critical decisions about their information architecture. “Open gives you consistency” and, in turn, “consistency gives you control,” he stressed. 1. The law of physics. You optimize response times by being physically closer to the data and services. 2. The law of economics. It’s too expensive to put everything on the same cloud. 3. The law of the land. Regulation, compliance and other rules prevent companies from putting everything in the same cloud. 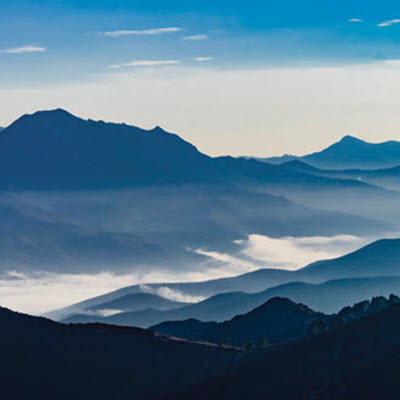 “A multicloud infrastructure is the only kind of information architecture that meets all of these requirements,” said Gelsinger. “That’s why I believe that hybrid is not a way station to the future. It is the future." 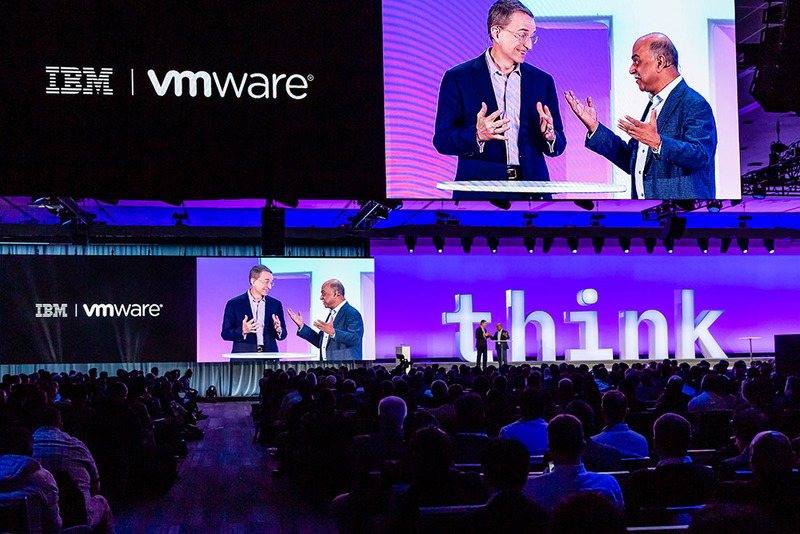 A day after IBM revealed Watson Anywhere, Gelsinger broke the news that VMware embed Watson into Workspace ONE, its device management software. "We really want to be one of the leading users of Watson as we integrate it into our business processes, making us better as well as the experience we give to our customers." 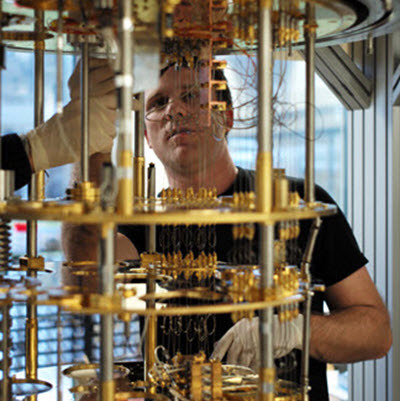 Part of IBM’s mission is to see around corners. 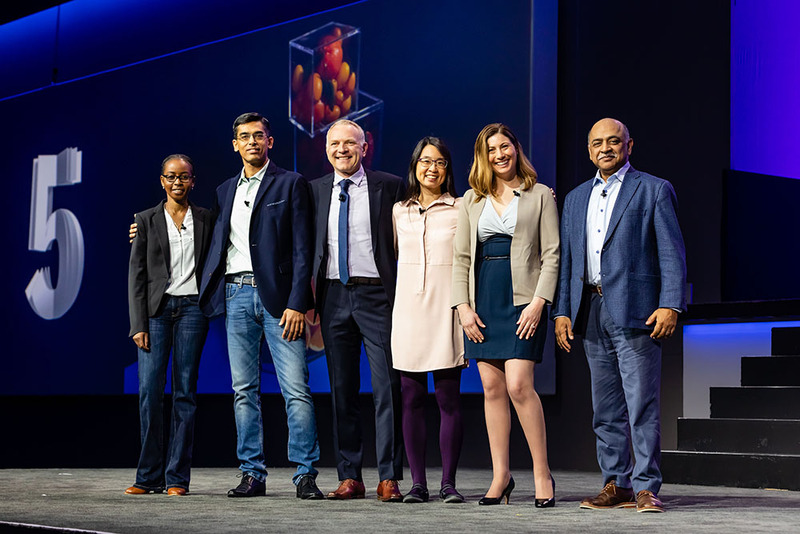 This year, at the Think 2019 Science Slam, IBM researchers shared their vision for “5 in 5,” a popular annual presentation that focused this year on five innovations in the food supply chain – “from seed to shelf” – over the next five years. “We need to rethink how technology can help us plan for the future of farming,” said IBM’s Arvind Krishna. IBM researchers, he said, are working on variety of food-oriented initiatives, from streamlining the transport and distribution of crops, to improving food safety, reducing food waste, and ridding the sea of plastic waste. Leading off the event was Juliet Mutahi, software engineer at IBM Research. The daughter of a coffee grower in Kenya, Mutahi explained how small farmers in Africa are already applying digital tech to their farms, helping them measure soil health, improve production, and maximize crop yields. Sriram Raghavan, vice president and CTO of IBM Research-India, looked further down the food chain with a discussion of how blockchain, AI and the Internet of Things can be used to efficiently distribute food. “Today, the food supply chain operates on guesswork, and it’s very much an inaccurate science,” he said. A real-time connection to crop inventories, he said, could potentially allow an orange grower in Florida find the best place to send a newly harvested crop, reducing spoilage. Donna Dillenberger, IBM Fellow, focused on the detection of food-borne illness, via a fascinating little cell phone-mounted device call the IBM Crypto Anchor Verifier. The Verifier uses innovations in AI and optical imaging to help determine if food is safe, and with a quick scan can discover pathogens at microscale. The device could also be used to detect counterfeit food. She noted that 73% of extra virgin olive oil coming into US is mislabeled or counterfeit, while there is a growing global problem with whiskey that has been diluted. Garcia noted that half of all plastic products become trash within a year and cited a study that predicted that by 2050 there will be more plastic in the ocean than fish. Currently, more than 272 million metric tons of plastic are produced each year around the world, with one-quarter comprised of PET (polyethylene terephthalate), a type of plastic commonly used in food packaging. IBM researchers have created a new technology called VolCat, a catalytic chemical process that can turn PET into a renewable resource. VolCat uses a combination of chemicals, heat and pressure to reduce the amount of plastic, and ultimately the amount of waste. 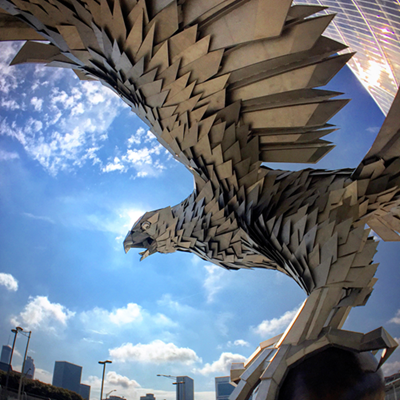 The sustainable innovation is capable of breathing new life into old plastic, Garcia noted, and could completely transform the way we manufacture and discard plastic in the next five years.